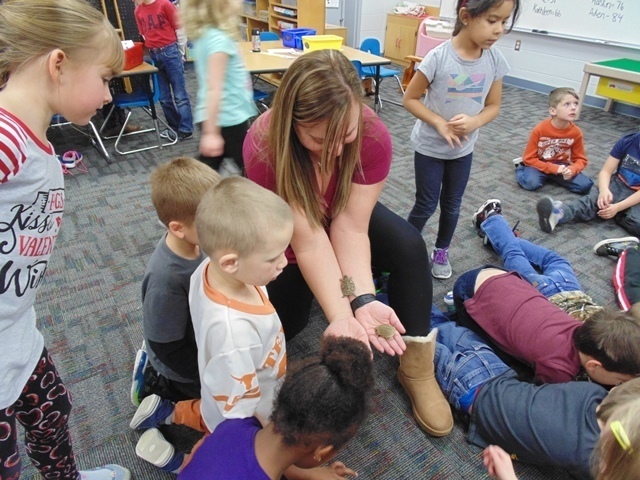 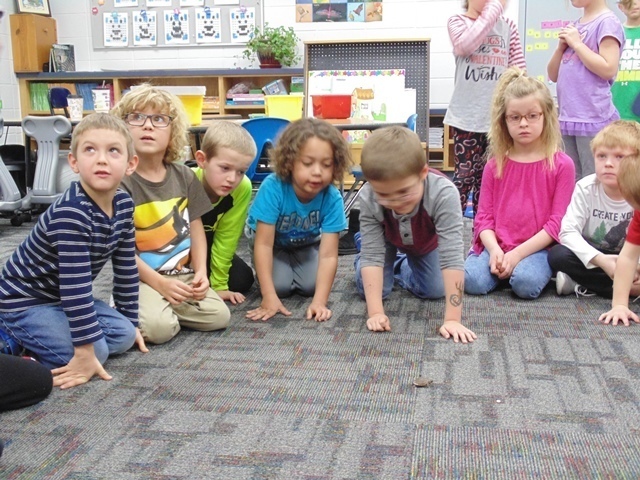 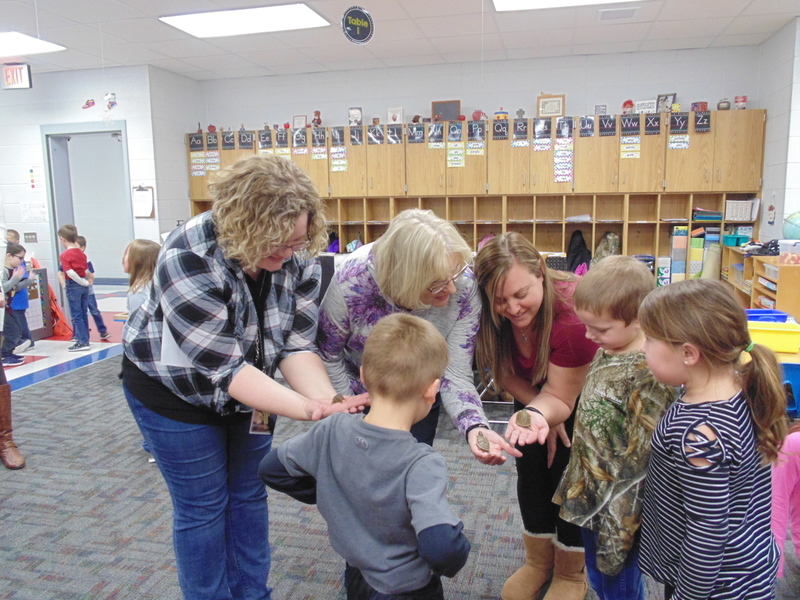 Kindergarten students at Minneapolis Grade School are studying Reptiles and Amphibians as a part of their Project Based Learning, and on January 24th they had some surprise visitors in their classroom. 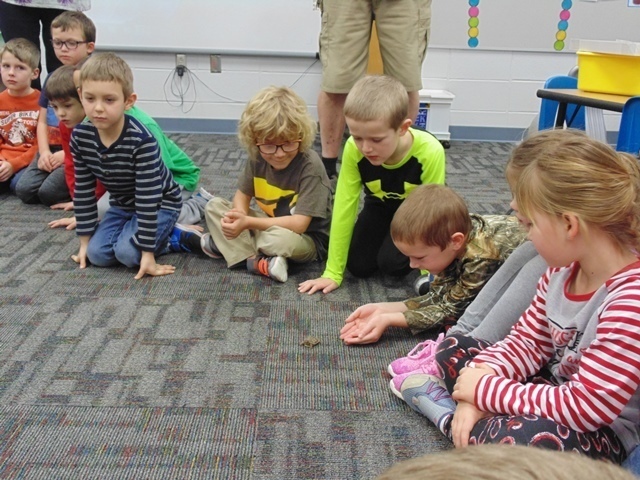 Marty Husted brought in five baby box turtles for the students to observe. 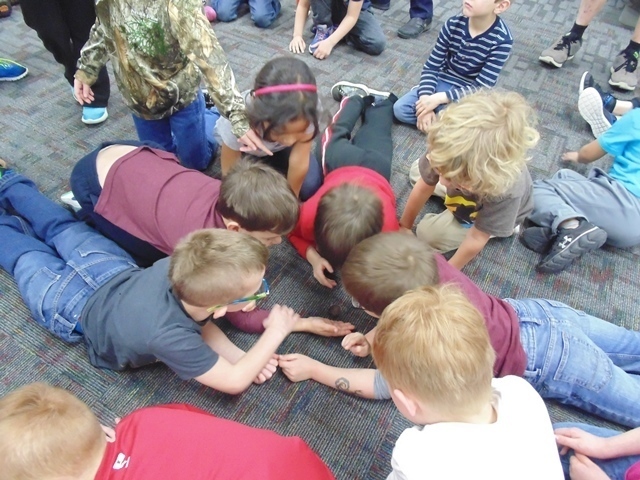 The students formed a circle and watched as the turtles scuttled across the carpet. 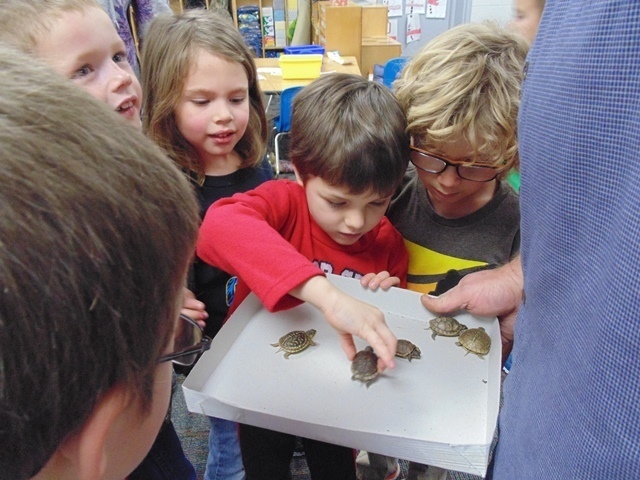 Ranging in size from approximately 1 to 2 inches, the turtles were very active and fun to watch. 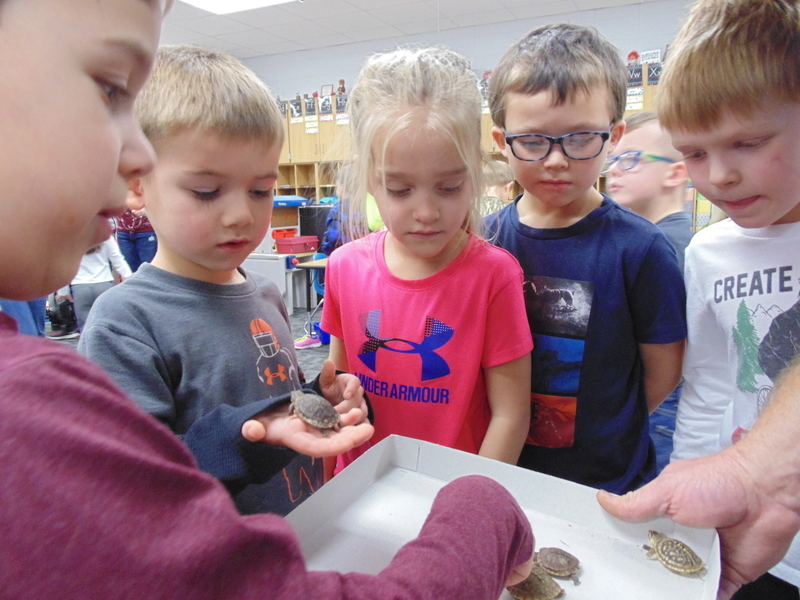 To care for the baby turtles, Marty says he soaks them in lukewarm water every other day to keep their skin from drying out. 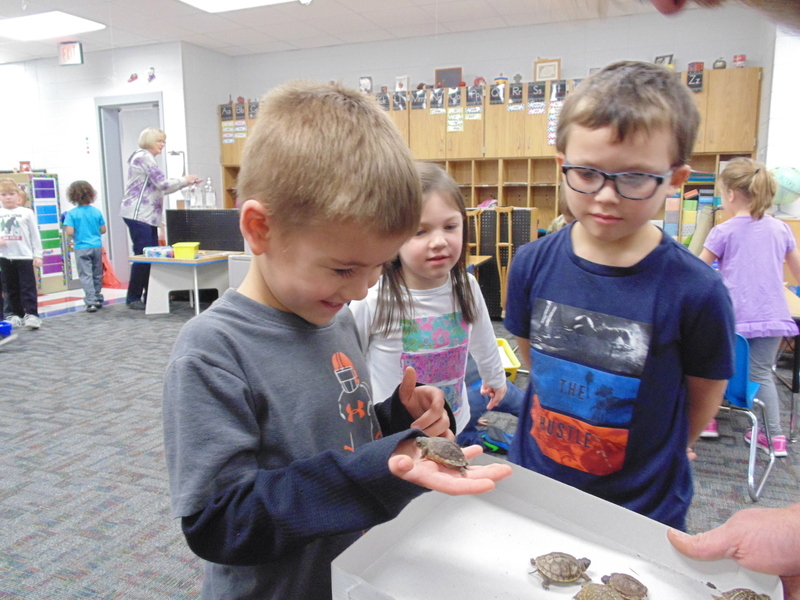 The water also helps their shells get hard and develop properly. 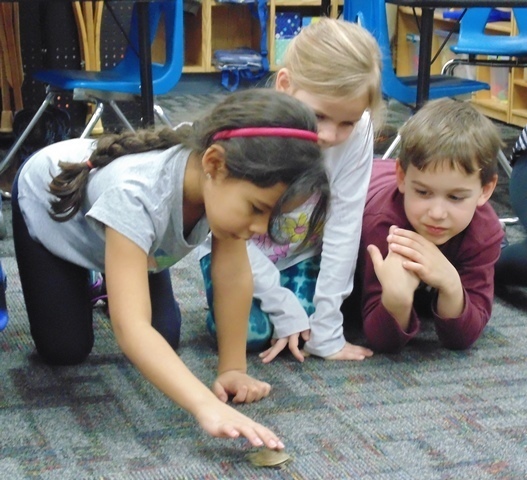 Marty feeds the turtles tiny worms and lettuce.